Mit der M1 PWR hat Musical Fidelity die erfolgreiche M1-Serie nun komplettiert. Der Klang ist Musical-typisch sehr harmonisch und kontrolliert. Die sehr kompakte Endstufe liefert satte 2 x 65 Watt an 8 Ohm und 2 x 130Watt an 4 Ohm und kann auf Mono gebrückt werden mit 100/200 Watt an 8 bzw. 4 Ohm. The latest addition to the M1 series came from customer demand – they were clamouring for the perfect power amplifier partner for the award-winning M1 CLiC music controller. After intensive technical development, we've delivered just that – and more – in the compact shape of the M1 PWR. It's a premium performance mono/stereo power amplifier. 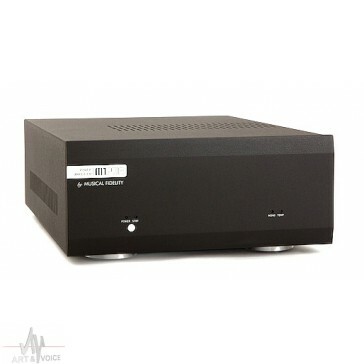 A single M1 PWR offers 60 watts per channel of stereo drive, but at the slide of a switch it becomes a 100 watt monobloc. All circuitry is internally switched: all you need to do is connect up a second M1 PWR for an excellent, easy upgrade. Even in its single-box mode it drives speakers with ease, delivering superb stereo separation and a punchy, pure sound. Add another M1 PWR and the performance steps up to another level again. The svelte design and outstanding value of the M1 range means stacking up an amazing hi-fi system has never been easier, even if your space and budget are limited. It took a while to add the M1 PWR to our M1 series, because we would not settle for building a conventional power amplifier, even to our exacting standards. Instead, we used our technical expertise to deliver something truly special. The M1 PWR delivers a comfortable 60 Watts-per-channels into 8 ohms, which almost doubles into 4ohms. 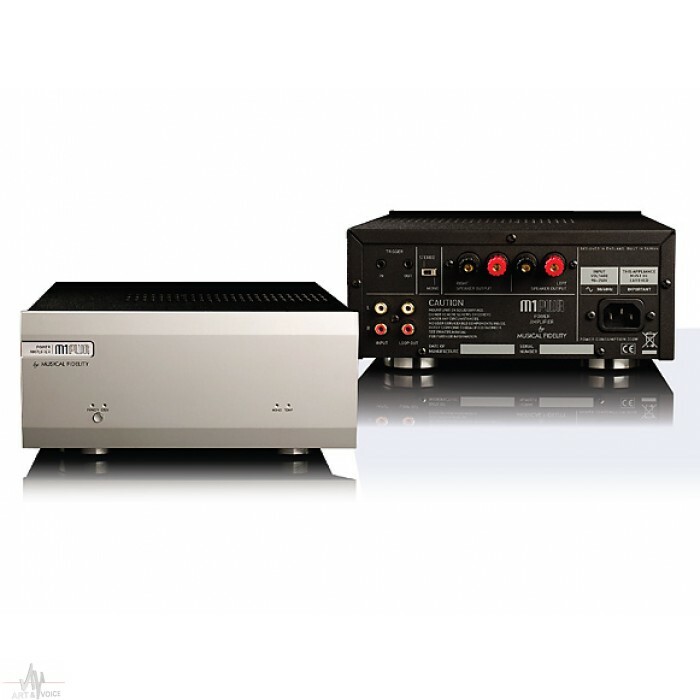 In monobloc mode – achieved by simply sliding a rear-panel switch – it becomes a 100 Watt power amplifier, able to deliver 200 Watt transient peak capacity into 4ohms. As with the rest of the M1 range, distortion rates are markedly low, at 0.05%. The M1 PWR's technical performance continues to impress with superb phase integrity, frequency response and signal-to-noise measurements. Alongside its standard stereo input and twin speaker outputs, the M1 PWR also features a 12V trigger in/out and 'loop out' signal sockets - allowing amps to be daisy-chained and biamp your speakers. At 22cm wide, 10cm tall and 30cm deep, the M1 PWR is exactly the same size as the M1 CLiC, for which it is a perfect partner. Along with the other same-width M1 range, they allow you to build a compact hi-fi system – able to handle both traditional and modern music sources – that surpasses the performance of far larger, pricier alternatives.